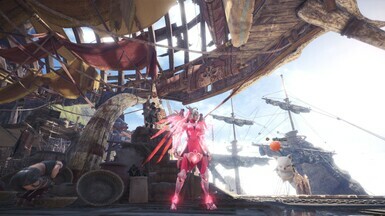 just wondering if you could, can you make just the pink mercy outfit the layered armor instead of becoming mercy as well cause i like the outfit a lot and would like to wear it without becoming mercy cause i like my hunter? The wings aren't showing up, any ideas? 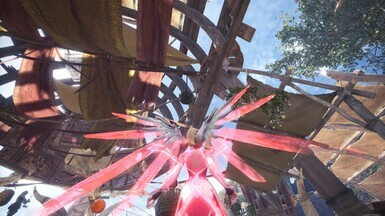 I dont know if something changed with the update but the wings have been part of the weapon in previous version which I still use, so if you dont use a replaced weapon you wont have wings. I love this Mod its really cool :D but i have a question or i am blind :D , but in this final version is there no option to use it without head like before? the hell this is masterpiece...new inovation for another skin modder....keep up the good work bro. 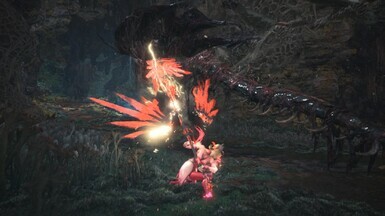 Would be really nice to have an insect glaive replacement as well, as it seems the most fitting, considering Mercy uses a staff. Could you upload a video that applies this mode? 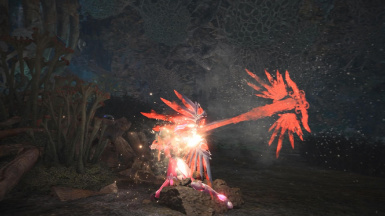 If you search "MHW Mod Manager" it can install/uninstall mods with ease. With this mod, however, in the zip there are 4 different mods that you need to install separately otherwise it won't work. and, Could you upload invisible mantle?? plz!! He only has 2 "invisible" mantles (Rocksteady and Temporal). It takes a bit of time to actually model swap since you have to weigh each node on the old model to the new model. 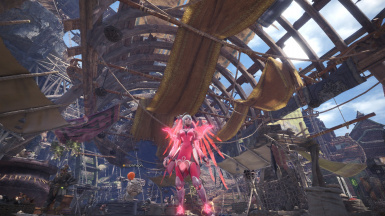 does anyone else have the probleme, that mhw transmog won't retrieve the data anymore after installing this mod? The newest update broke the mod. You'll have to wait patiently for the uploader to update the mod.